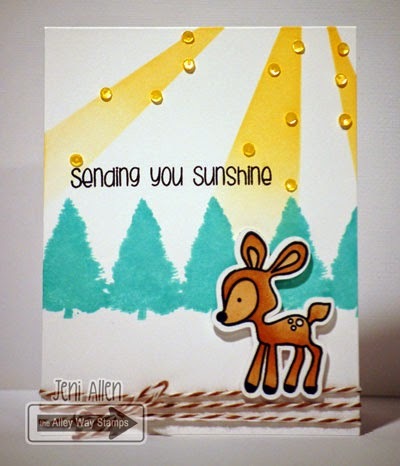 The Alley Way Stamps: Sending you Sunshine! Hey there friends! Jeni here. I've got a little sunshine to pass along to you today!! Yes, I live in the PNW, and we expect rain all winter, but I sure do love the couple of sunny days we've had the last few weeks! So, no matter you weather, here is a little sunshine headed your way!! 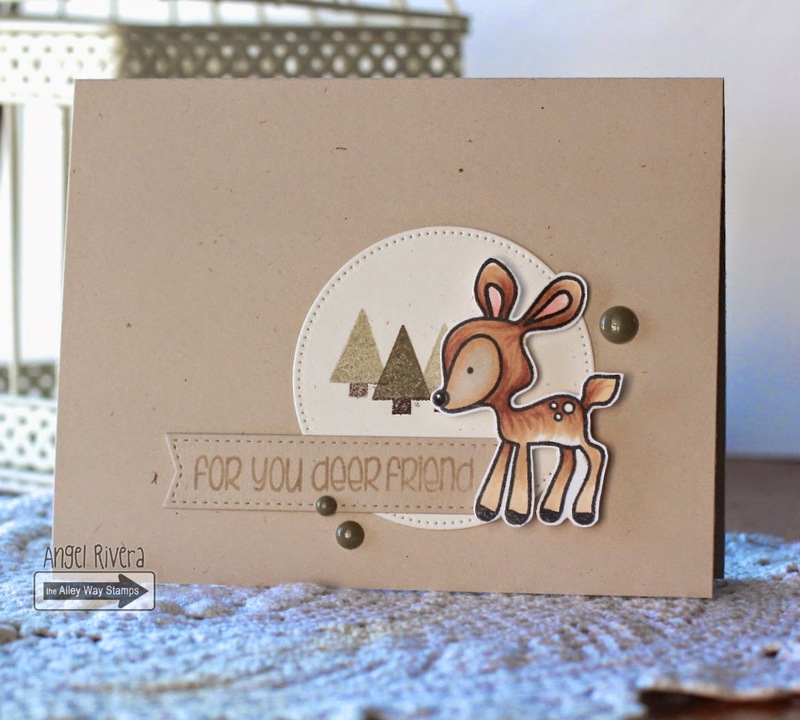 Sunshine sentiment is from More than Words, And my sweet deer and trees are from Stumped. Hi all! Angel here with a CAS card (I know, you're not surprised, lol!) using the Stumped set. I colored this cute deer with Copics. The trees were inked up, stamped once, then stamped again to get the different tones. Hello! Dana here! 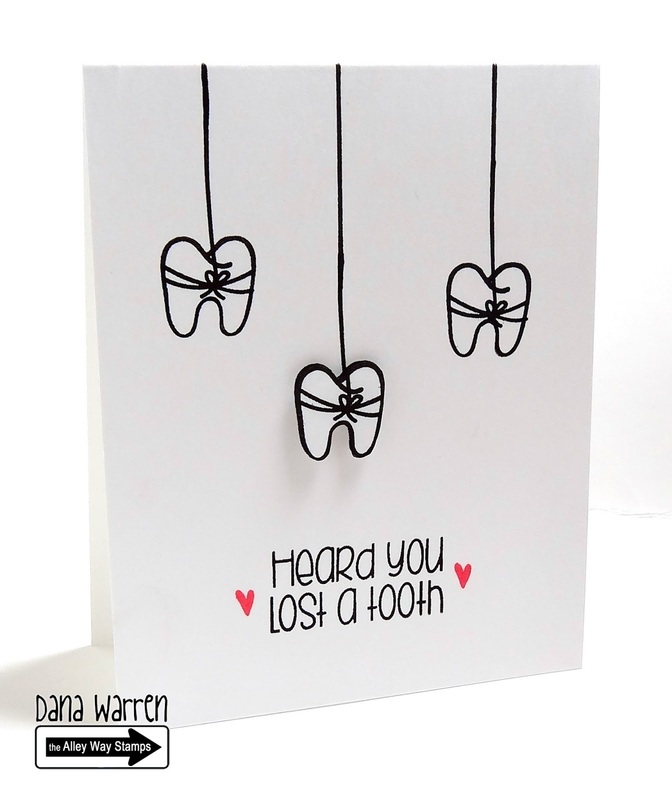 Today i have a quick card for you, its been that kind of week, super busy!! So a fast card was a must! I used the new Tootharina set! Hi there, Tanja here! For my card I used the cute tiny mushroom from Branching Out. Happy thursday! Cute cards! The little deer is adorable!